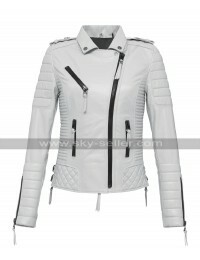 Are you a fun loving girl fond of biking? If yes, then this beautiful black leather biker jacket will make you shine like a star when riding your bike on the roads. 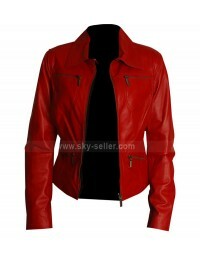 It is a slim fit jacket that is designed to enhance your feminine curves. 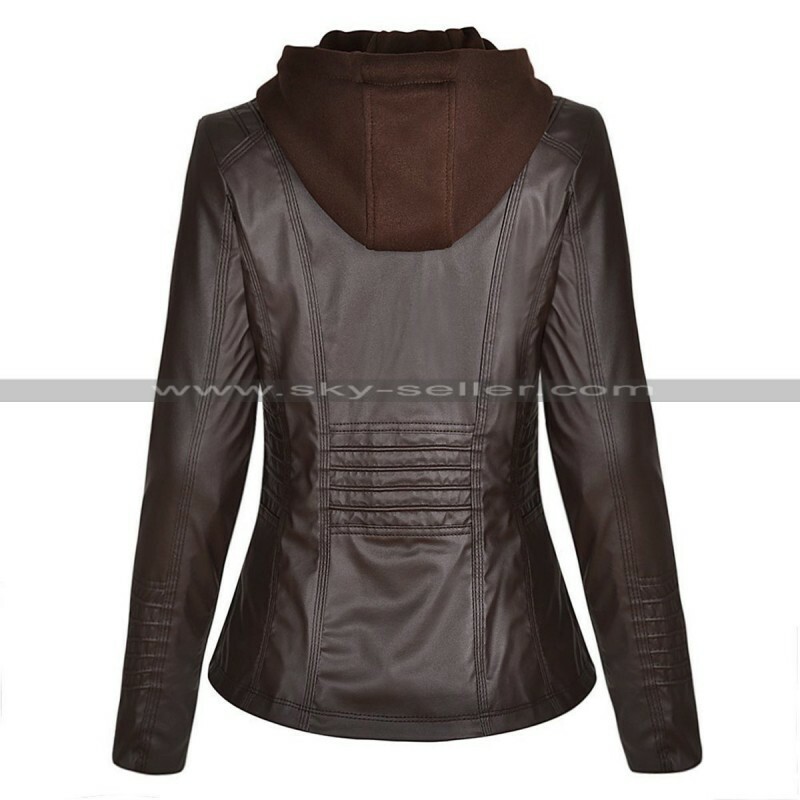 It will make you look beautiful and attractive to others when you move in the outdoors with yoru friends. 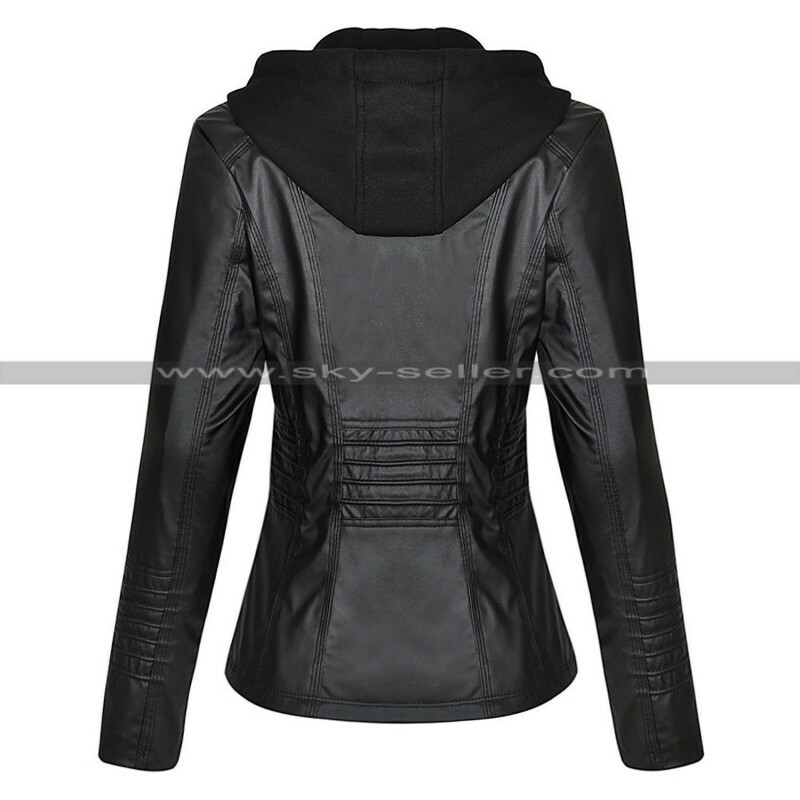 The highlight of this wonderful outerwear is the detachable hoodies that is attached through a zip to the neck. 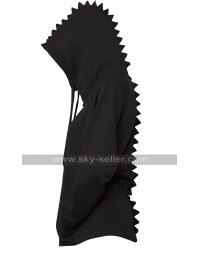 This hoodies contains drawstrings that can used to protect you from chilly winds blowing in the outdoors in winter months. 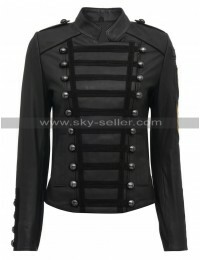 The jacket carries a beautiful design on the back and the sleeves that has been made using stripes. 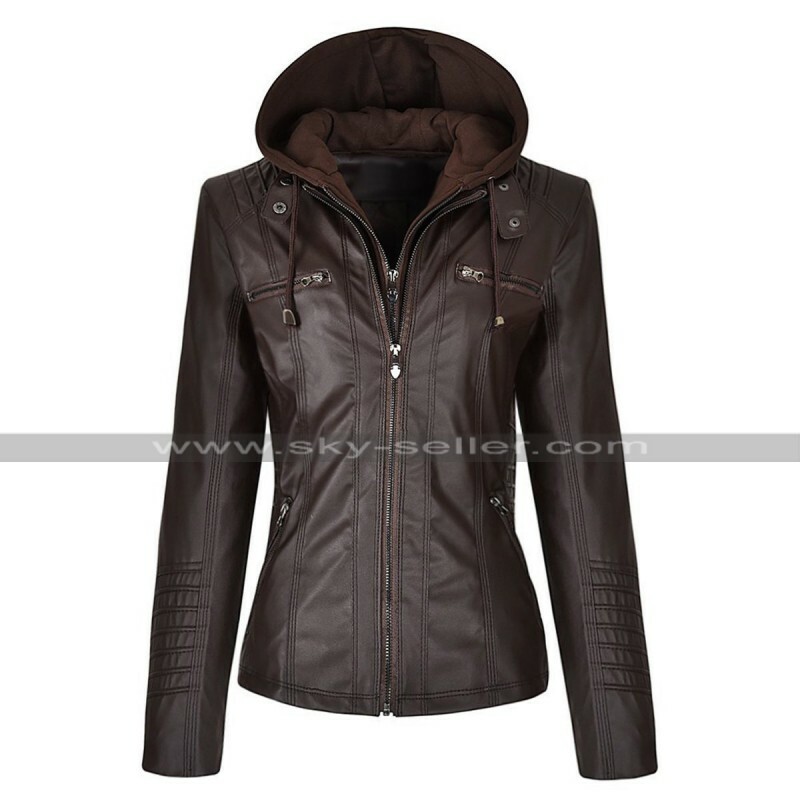 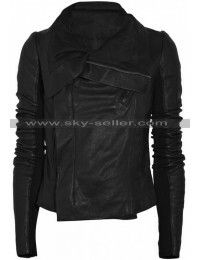 The jacket has a figure hugging fit that cinches at the waist while enhancing your natural curves. 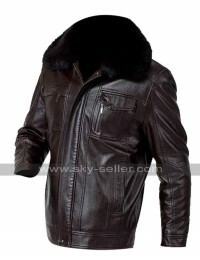 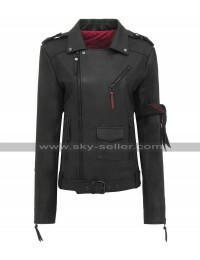 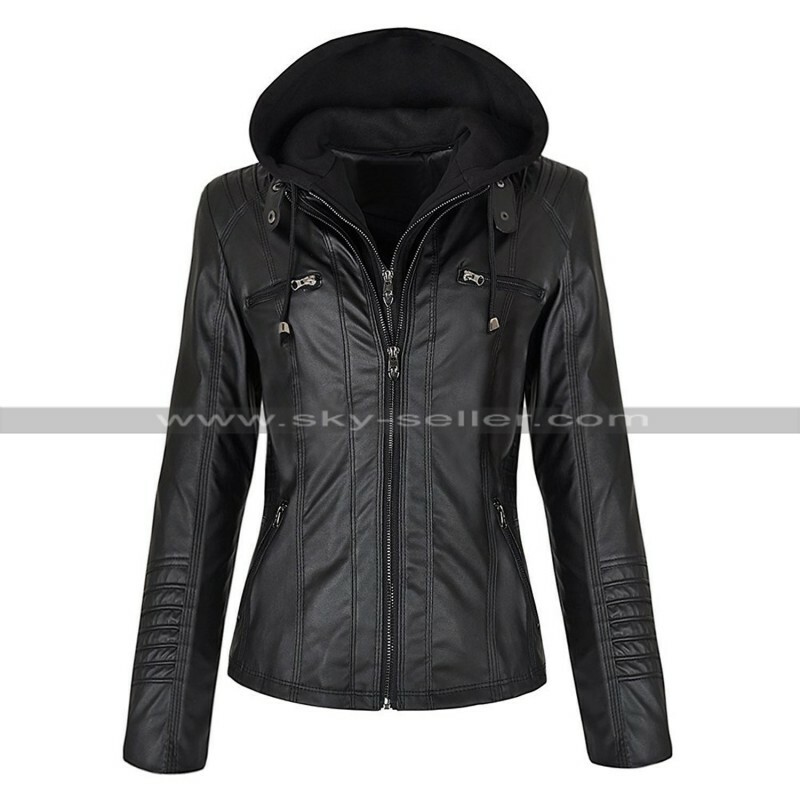 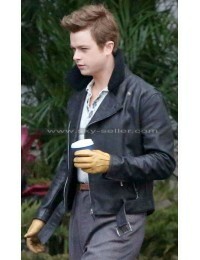 Rest assured that all eyes will be on you when you move out from your home wearing this fantastic black leather jacket.